The Best Digital Multimeter is what you’re looking for? Then you’ve landed on the right page. 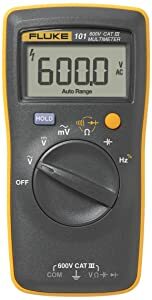 In this article, you will find the honest review of the 10 best digital multimeters in 2019. Now, have a look at the comparison chart below for the top 3 picks of Digital Multimeters recommended in 2019. 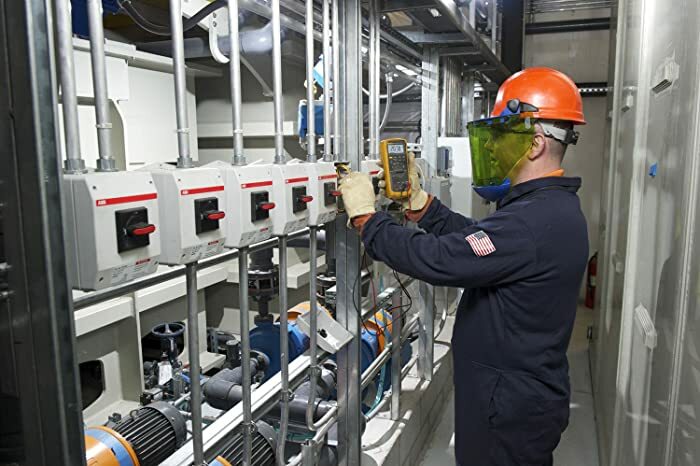 Pros Has the capability of measuring AC current safely. Comes with an Amp clamp. Can also be used to measure voltage, continuity, and resistance. Has a durable battery. Offers reliable and accurate measurements. 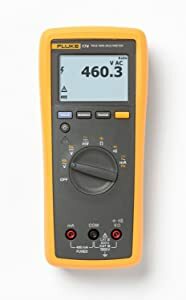 Relatively cheap for a Fluke multimeter. A high capacitance and frequency range. It has a separate voltage input. Cons The device cannot be used to measure DC current. Larger in nature. The auto-ranging and continuity are not fast enough. 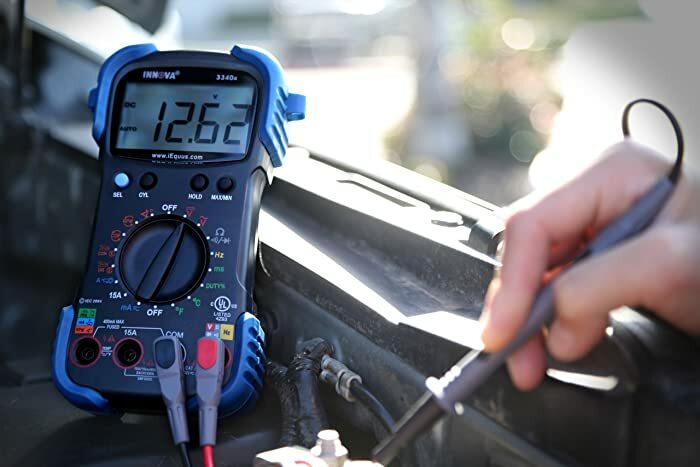 Bottom Line Etekcity MSR-C600 multimeter is built for DIY lovers, home users, and first-time electricians Fluke 88V multimeter is ideal for solving problems associated with hybrid and conventional vehicles. The Fluke 101 Basic Digital Multimeter is built for professional electricians. It comes in handy when troubleshooting electrical problems at home. The device can also be used for regular electrical maintenance at home. It comes with built-in clamps, therefore you’re able to measure current without the need to break circuits. It comes in handy when troubleshooting electrical problems at home. The device can also be used for regular electrical maintenance at home. It comes with built-in clamps, therefore you’re able to measure current without the need to break circuits. It comes with built-in clamps which enable you to measure current without the need to break circuits. The device works well with homeowners, DIY lovers, and electricians who are just beginning to practice. In addition, it’s easy and safe to use since the test probes are insulated. 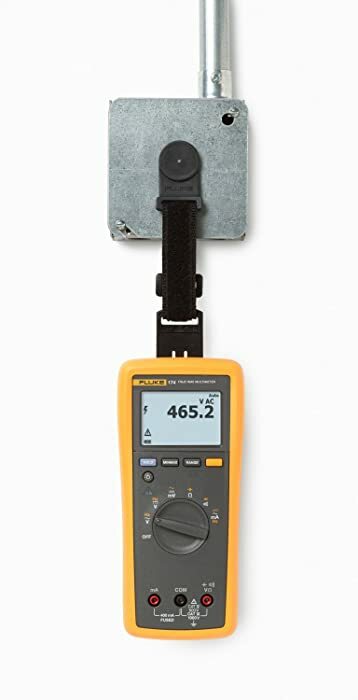 This combined with plastic gripping makes the device very safe when taking measurements. Has a maximum display of 1999. EC61010 CAT.II 600V, CAT.III 300V safety compliant. Updates measurements three times per second. Auto shut down on fifteen minutes duration. Measures AC current and resistance. The device has a clear LCD display. It’s able to hold data. Possess diode and continuity checks. This best multimeter is built for DIY lovers, home users, and first-time electricians. Also, the safety insulations make it ideal for homeowners who have no previous electrical training. We can conclude that this device is safe for use at home and by electricians on an entry level. In addition, the test probes are insulated making it safe to take measurements. This device should be handled with care since the body is not strong. It’s not ideal for industrial use, however, it can be used as a backup. This best multimeter which is designed for basic electrical use is small and light and can fit in your hands. Its rugged nature makes it withstand daily use for a long time. Readings from this multimeter are reliable. This best multimeter which is designed for basic electrical use is small and light and can fit in your hands. Its rugged nature makes it withstand daily use for a long time. Readings from this multimeter are reliable. It has an auto power saving mode. It is portable since it can even fit in your pockets. Upholds the IEC61010-1 CATIII 600V safety criteria. Automatic shutdown with a replaceable battery. The Fluke 101 Basic Digital Multimeter is built for professional electricians. The Fluke 101 Basic Digital Multimeter is built for professional electricians. It can be used to offer reliable measurements to electricians and air conditioning and heating technicians. This portable multimeter is not only also used one hand, but also is best suited for professional electrical use. 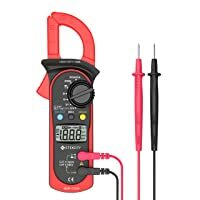 Air conditioning and heat technicians can also use this multimeter. The device is slightly bulky compared to competing devices in the market. The body of this device is strong and it has both the frequency and capacitance range. Even though it lacks an integral stand, it offers reliable and accurate measurements. Fluke 88V 1000V Automotive Multimeter is flexible to the user as it’s equipped with manual and auto-ranging modes. This is a digital multimeter which is used to measure AC/DC voltage and current, frequency, capacitance, resistance, and temperature. In-built thermometer for measuring temperatures with no need for an external device. It is able to withstand 8,000-volt spikes. This best multimeter measures capacitance, frequency, resistance, temperature, AC/DC voltage, and AC/DC current. Has a maximum resistance of 50 MΩ. It records pulse width measurements for fuel injectors within the millisecond. Category III safety rating up to 1000v and category IV to 600v safety rating. The Fluke 88V automotive is built with improved measurements function in mind. In addition, it’s troubleshooting features and accuracy makes it ideal for conventional and hybrid vehicles. Because of its unique features, the Fluke 88V automotive multimeter is ideal for solving problems associated with hybrid and conventional vehicles. This best multimeter is accurate, fast and reliable. The in-built thermometer for taking temperature measurement makes it a multi-purpose tool. It has a minimum and maximum recording of both the highest and lowest readings for a period of time. And this data is stored in this device for later use. This combo kit is built around the Fluke 87V, the most widely used industrial digital multimeter in the world, and includes special accessories to make you even more productive on the job. Fluke 87V / E2 is a must-have special digital multimeter kit that increases productivity in your operations. Therefore, this multimeter kit is the most popular and most used globally. An inbuilt thermometer to measure temperature while avoiding the need for an extra tool. This important feature also promotes safety at work as the number of tools at work is reduced. Its selectable filter enables measurements of voltage and frequency accurately on motor speed drives and other noisy equipment. A magnetic hanger can be used in this kit for setting up equipment easily and proper viewing while your hands perform other tasks. This particular device has an auto and manual range and can measure up to 1,000V AC /DC. Fluke 87V / E2 is a must-have special best multimeter kit that increases productivity in your operations. 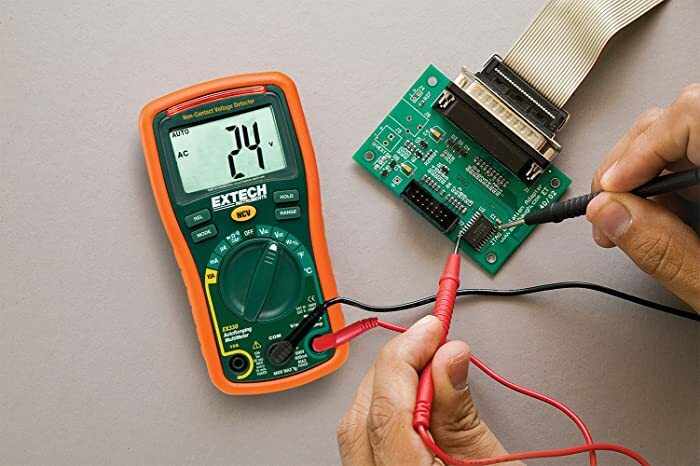 A must-have multimeter for every electrician in the field is this great combo kit because of its unique features, properties ensure accuracy and readability. Most suited for the electrician in the industry, it is tested to the extreme shock, humidity and other harsh conditions. And these conditions simulate the type of everyday conditions in the industry. This product is stable, accurate and more reliable than most devices of its type. Also, it’s mostly used in the industrial electrical installation, maintenance, and service. This is a digital industrial multimeter combo kit. And it features a full DMM with improved electronic troubleshooting functions. This model has more measurement functions and also conforms to the latest safety standards. It has an IEC safety rating of up to 1000V for category 3 and up to 600V for category 4. The Fluke 179 / EDA2 6 Piece Industrial-Electronics DIgital Multimeter ComboKit is ideal for the industrial electrician. Electricians work in tough conditions, the reason why this device comes with an industrial test probe kit and a light case. This product is built with you as an industrial electrician in mind due to its ability to withstand harsh conditions. It lacks micro-amps and hence it’s not suited for HVAC jobs and electronics. However, it’s very accurate and has a good temperature range. 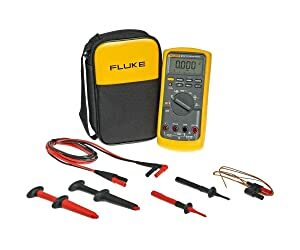 The Fluke 116 / 323 KIT HVAC Best Multimeter and ClampMeter ComboKit is designed for both residential and commercial electricians. Fluke 116 has an IEC safety rating of category 3 for up to 600V; Fluke 323 is mostly suited for up to 400A current measurements. A clamp combo is a general purpose meter kit that features an inbuilt thermometer for HVAC applications for the Fluke 116. It’s priced on the higher side. 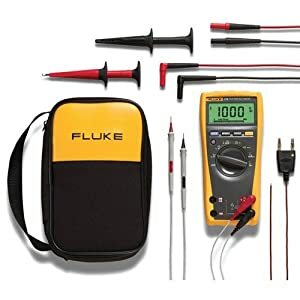 The Fluke 116 / 323 KIT HVAC Digital Multimeter and ClampMeter ComboKit is designed for both residential and commercial electricians. It’s important to have the right tools but more important that you have them when you need and in one place. This combo kit ensures just that. 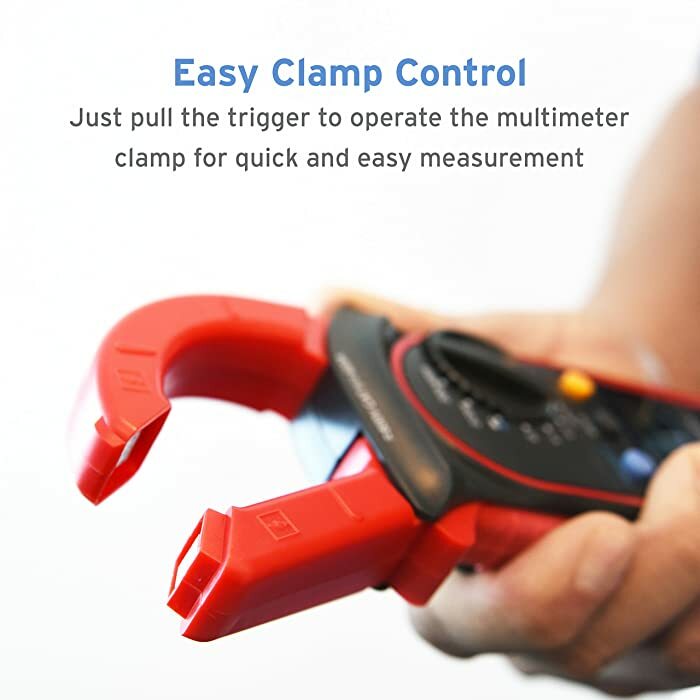 This tool is among the best if not the best HVAC clamp best multimeter available in the market. Besides its higher price, this incredible tool has a very strong warranty that you will learn outweighs its’ price. This is a rugged digital AC /DC digital multimeter designed for industrial use. In addition, this best multimeter can capture readings of up to 65,000 sets of minimum and maximum average readings. This is a rugged digital AC /DC multimeter designed for industrial use. This best multimeter can capture readings of up to 65,000 sets of minimum and maximum average readings. It measures continuity, frequency, resistance, diode test, and capacitance. Has a maximum voltage of 1000 V DC or AC RMS between any terminal and earth ground. The sleep mode when the multimeter is not in use prolongs its’ battery’s life. Can capture up to 65,000 sets of MIN /MAX /AVG. The large white LED white makes it possible to read in darkness. Records minimum and maximum records of fluctuations. The device can endure very high temperatures. It can be relied upon to take accurate measurements. This best multimeter comes with a dependable warranty from the manufacturer. Has a voltage limitation and exceeding beyond this limitation could spoil the multimeter. 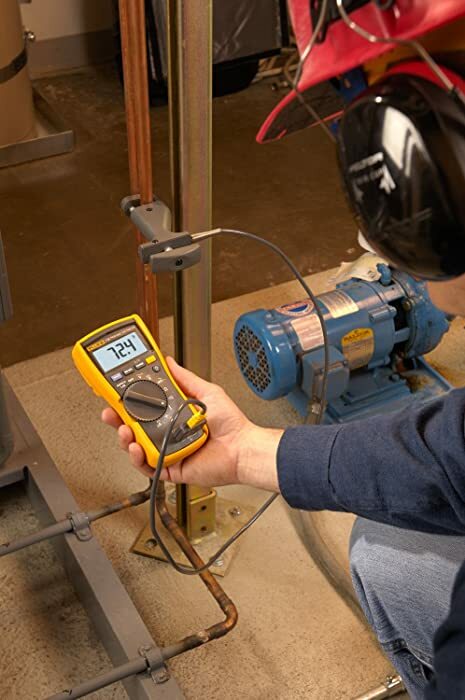 The Fluke 174 True RMS multimeter is best suited to be used daily in an industrial environment. This best multimeter has been designed to endure very high temperatures before it’s released by its manufacturer. This property makes it ideal for daily use in an industrial setting. Also, it is able to find and solve more problems because it has a number of tool belts. Readings from this device are also very accurate and can be used in poorly lit areas. This is because it comes with a large white LED display which makes reading possible even in darkness. This multimeter consists of pros quality which helps in pinpointing engine problems. The 10 MegOhm impedance also prevents damage to the ECU. Features of this best multimeter make it ideal for household electronic use and also in troubleshooting automotive problems. This multimeter consists of pros quality which helps in pinpointing engine problems. The 10 MegOhm impedance also prevents damage to the ECU. Features of this best multimeter make it ideal for household electronic use and also in troubleshooting automotive problems. It has a professional automotive multimeter. This tool has test load holders which offer free- hand protection. Auto-ranging, overload protection, and auto shut-off. The device is able to test alternator diodes, breaker points, duty cycles, and solenoids. Has a temperature probe and an inductive RPM clamp. 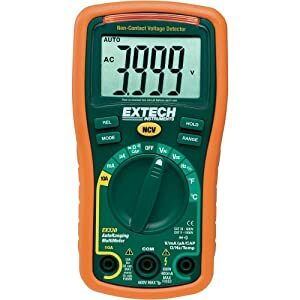 This best multimeter is easy to use. 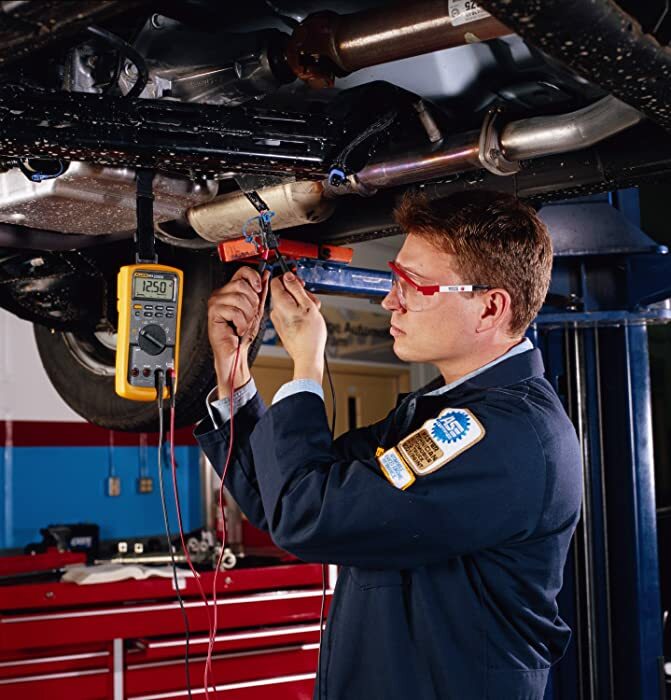 Its UL certification makes it safe for electrical use at home and when troubleshooting your vehicle. Customer care services are available from Monday to Saturday. It also takes temperature measurements. Has a very clear display. The probe slide robes are prone to frequent wear and tear. Its screen is not backlit. The INNOVA 3340 automotive multimeter is best suited for troubleshooting automotive problems and electrical problems at home. In addition, this device is less suited for electronics since it does not have capacitance input functions. This multimeter comes in handy for electrical use at home and troubleshooting automotive problems. This is because it is simple and easy to use making it safe and secure to use. It is highly recommended for home use because of its’ simplicity and ease of use. Also, it is safe and allows freehand use. This is a digital industrial multimeter combo kit. It features a full DMM with improved electronic troubleshooting functions. The multimeter includes two meters in an average-sized device which is easy to read. Also, it is a non-voltage detector and a fully featured digital multimeter. This device has an inbuilt thermometer, therefore, it is able to switch between Celsius and Fahrenheit readings. It is an auto-ranging best multimeter with a number of features. In addition, this device measures resistance, diode, and continuity testing. It is CATIII to 600V, CATII to 1000V rated. Has a large display of 4000-count. It’s listed with Cat III – 600V UL. The device has a type K temperature probe. The tool has an automatic power off. AC voltage detector which is non-contact. Comes with both manual and auto-ranging. Has rubber holsters which protect the meter. The tool has a low battery indicator. The solid and sturdy body builds. Its cables and probes are well rated. Operational images and full specs. The auto range on resistance is a bit slow. May not give very accurate results. 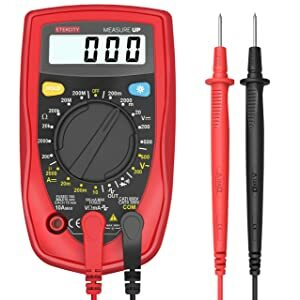 The multimeter is designed for automotive engineers in mind because it can be used to troubleshoot electronics and electrical faults at home, the multimeter is designed for automotive engineers in mind. This device is also good for electricians at the beginner level. Like any other product, this best multimeter has a number of pros and cons, however, the pros outweigh the cons. This is a handy device for DIY enthusiasts even though electricians on a beginner’s level might find this device quite helpful. Also, it is quite pocket-friendly making it ideal for home use. Electricians may not find it very useful because it has a few chances of not returning accurate measurements. However, this device competes very well with other devices which are more costly. This multimeter can be used by both amateurs and professional electricians. To ensure that your components are in perfect condition, the multimeter has a buzzer. This device can be used by both amateurs and professional electricians. To ensure that your components are in perfect condition, the multimeter has a buzzer. It is easy to measure the range of current, resistance and voltage by use of a manual dial range. Has a data hold function which records measurements. The display is backlit making it possible to take and read measurements even in darkness. Rubber sleeves ensure that the device is always protected while working. Small and light in nature. 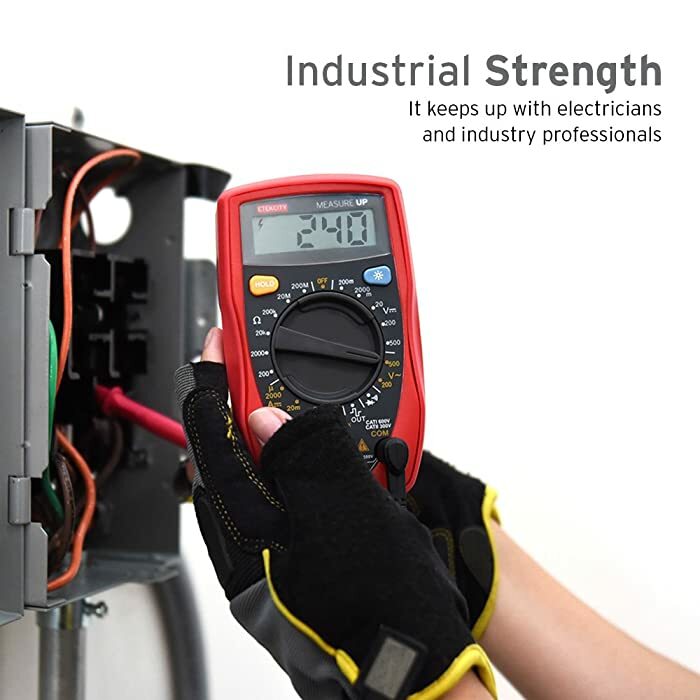 This multimeter keeps up with electricians and industry professionals. Can return almost accurate readings. The device has a nice stand out flip. Portable since it’s light and small in nature. A 9V battery is also included in this best multimeter. The device has a limited current measuring capacity. This device is for home use or the workplace. Amateurs and professional electricians may find this device useful for troubleshooting electrical problems at home. If you are looking for an affordable best multimeter to use at home or your workplace, then the Etekcity MSR-R500 Digital Multimeters is your best choice. Whether you are an amateur or professional electrician, this device is safe and easy to use. 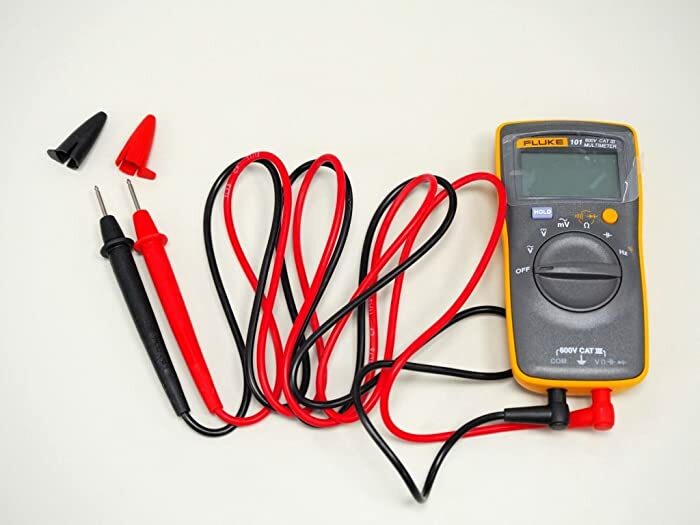 There are a number of factors to consider when you are shopping for a multimeter. Your body and live currents are in constant disagreement. Therefore, multimeter safety features ought to be your first priority. You will need to watch out for safety ratings labeled CAT to know its safety rating compared to your needs. In addition, you will need to know the voltage range for the device you will be using. For example, electrical maintenance at home will be quite different from that of large production industries. For example, some multimeters are built small to allow you to maneuver comfortably in tight spaces. Auto range devices have the capacity to recognize what you are testing for as opposed to manual multimeters. This means they are hassle free as you don’t have to waste your time calculating ranges. Last but not least, it’s crucial that you consider the accuracy of your device, especially for professionals. 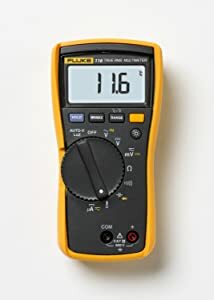 If you require extremely accurate readings and don’t have the right multimeter, you might as well be probing for temperature using your finger. 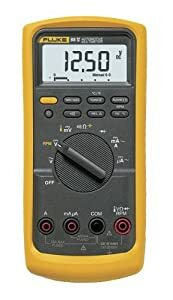 The Fluke 87V / E2 Industrial-Electrician Multimeter ComboKit is packed with all the above features and is the best recommended do it all multimeter. If you need to improve your production, then this device should be top on your priority list. In addition, this multimeter takes the guesswork out of troubleshooting and troubleshoots all the problems available. In the best multimeter review in 2018, the Fluke 87V / E2 Industrial-Electrician ComboKit seems unmatched and unrivaled. If you find yourself in a constant battle between landing a balance between cost and efficiency always go efficiency. It’s always important to concentrate on the features and reasons why you are buying the multimeter. JPRO Professional heavy duty truck scan tool is an easy to use diagnostic tool that can help you find the possible problems on your vehicles.